At KS Wild we steer clear of outrage. We find that cool heads, empathy, science and facts are the best tools for protecting wild places, watersheds and wildlife. Plus, over th past 20 years we've seen everything from illegal clearcutting to forest arson to timber sale collusion - so it takes a lot to surprise and shock us. But there is no other way to say this: the treatment of public lands during the recent government shutdown was both outrageous and shameful. While toilets and trash overflowed at our National Parks, the Bureau of Land Management continued to offer oil and gas leases for sale. While all Forest Service fuels reduction and watershed restoration projects came to a halt, old-growth timber sales continued without interruption. While government scientists, law enforcement, and maintenance workers were sent home without pay, government lawyers continued to defend public lands extraction in court. The Trump administration decided that you should not be able to purchase a fire wood cutting permit, use a public bathroom or purchase a map. Logging slash piles that will increase fire hazard next summer went untreated. But the extraction of large trees, oil and gas for private profit continued. Now is the time to ensure that this never happens again. Public lands should not be a pawn in political fights. Hard working public employees should not be forced to take short term loans or visit food banks as the price of public service. 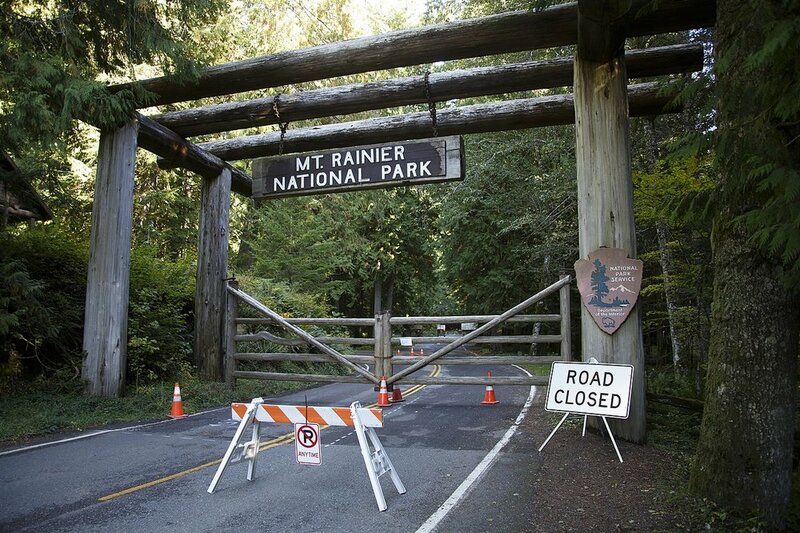 And the timber, oil and gas, and other extractive industries should not enjoy unfettered access to public lands while restoration, fire safety work, and recreation are shut down.